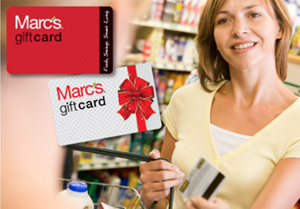 Marc's | Savings on promotions, money services, gift cards and coupons. 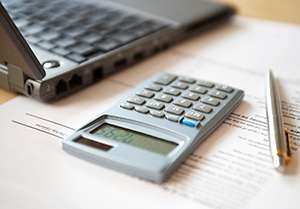 Moneygram Money Services allows you to send money anywhere, from anywhere. Moneygram services at Marc’s also include bill pay services, money orders, money transfers and prepaid card loading service all available right at the customer service counter at your favorite store. 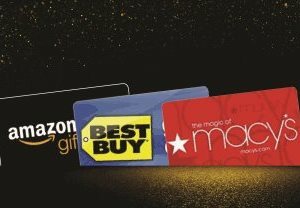 We carry retailer gift cards for great companies like Amazon, Best Buy and Macy's. The best retailers, restaurants, movie theaters, gas, wireless & calling cards! Marc's gift cards are available in any denomination up to $100 at all locations! Marc’s gift cards make great gifts to so pick up a bunch and give the gift of savings! We now have $25 & $50 cards available online here! 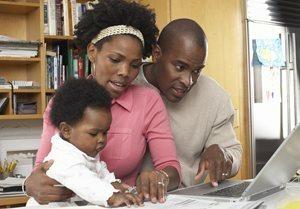 Sign up to be on our email list today to receive special news, information of closeout deals, special promotions, contests and other money savings ideas and tips. Online shopping has never been easier. Pop out to our e-shop department to order party platters, veggies trays and everything you need to host a great party. We also offer online sales of Marc’s gift cards, pet ID tags, holiday and seasonal special items, Marc’s Fresh Meal Kits and Closeout last minute buys. Marc's partnered with Allrecipes to serve you recipes featuring deals on items throughout the store! 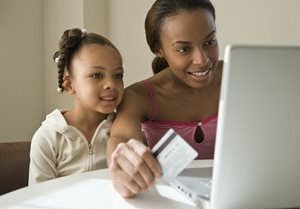 We also support ibotta so you can get cash back on your favorite items! Click here to save even more on your favorite items today! Get deal pairings and great recipes from the Allrecipes app! Sign up today to receive our emails.